NOW AVAILABLE! Mirjana is excited to announce that her auto-biography, titled MY HEART WILL TRIUMPH, is complete. The 270-page book written by Mirjana tells her entire life story, from the time she was a little girl to the present day. 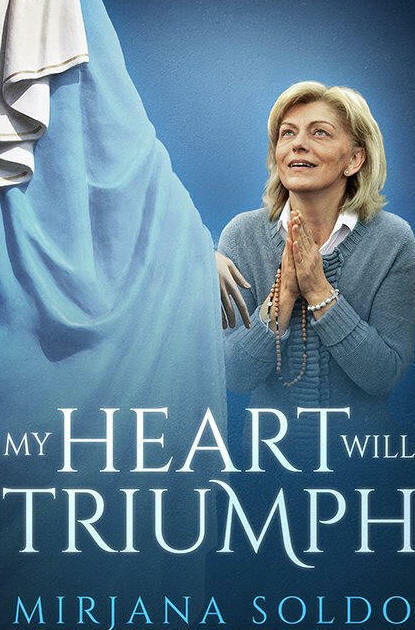 She gives an unprecedented look at the events of Medjugorje, including the many persecutions she endured in the early days of the apparitions. And, as the title suggests, Mirjana’s book reiterates Our Lady’s promise that, in the end, her heart will triumph. Her story is fascinating, and her book includes information that has never been made available to the public before.